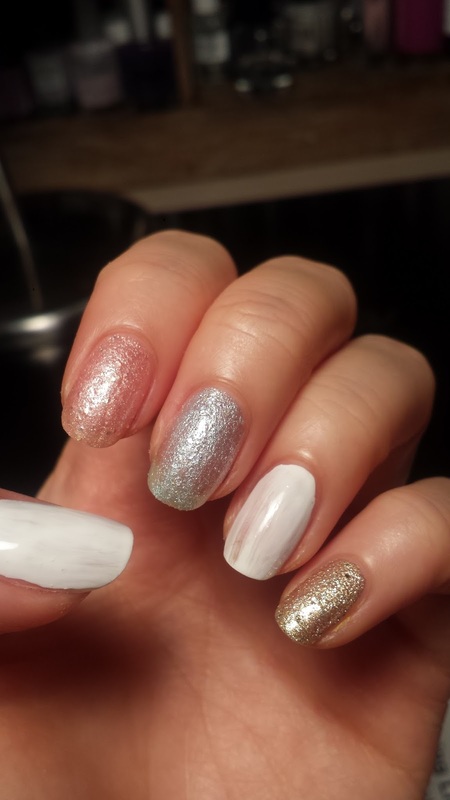 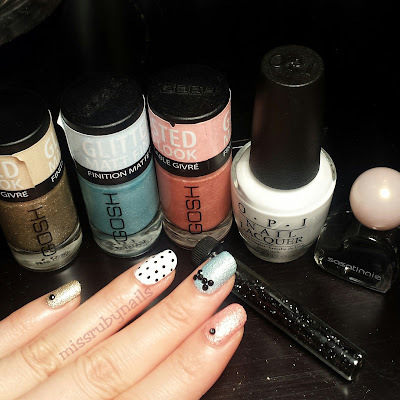 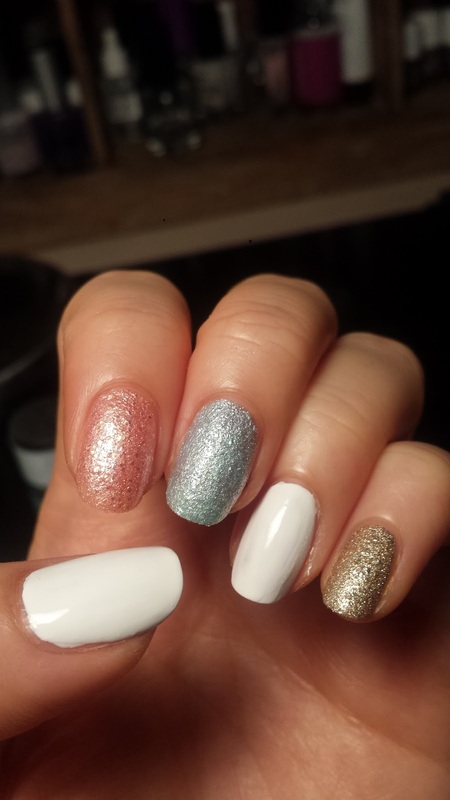 A simple but cute pastel manicure using a few of the Gosh textured glitter nail polishes. 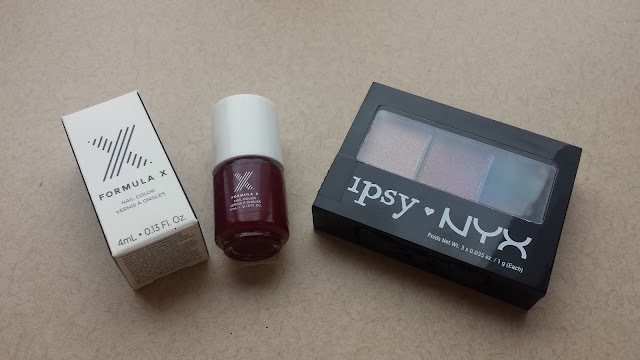 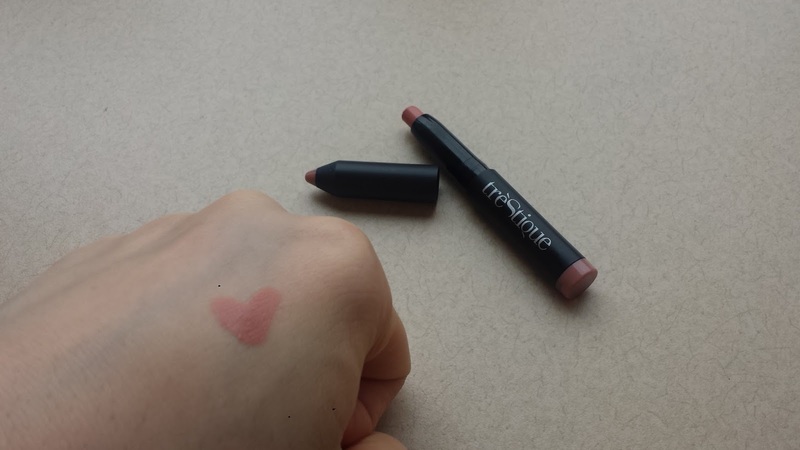 I fell in love with them when I first saw them in store and I basically got all of the colors! 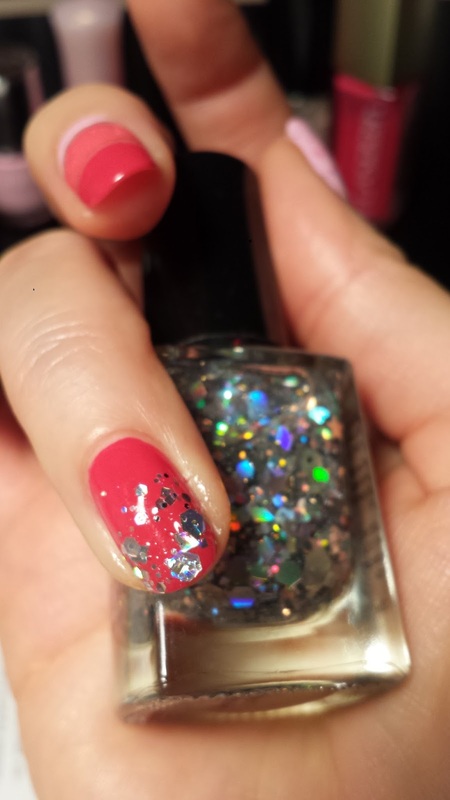 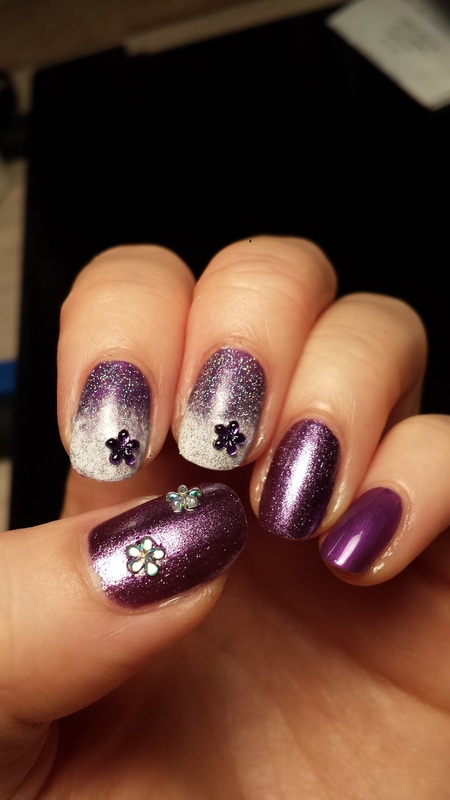 These stay on the nails very well and they give a gorgeous glitter star like finish! They dry quite fast too in between coats. 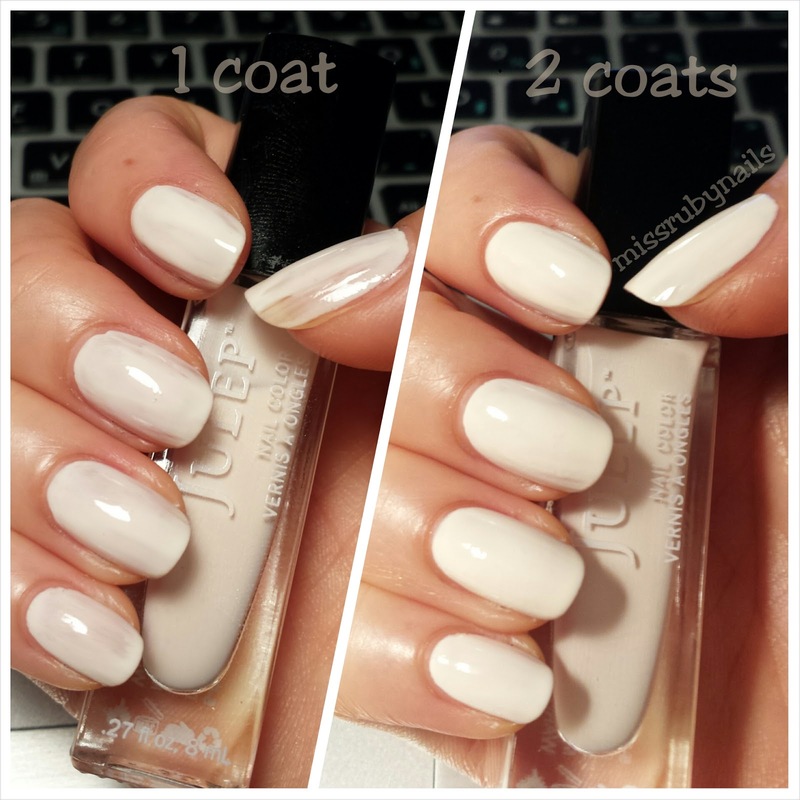 The photos above show the polishes in one and two coats. 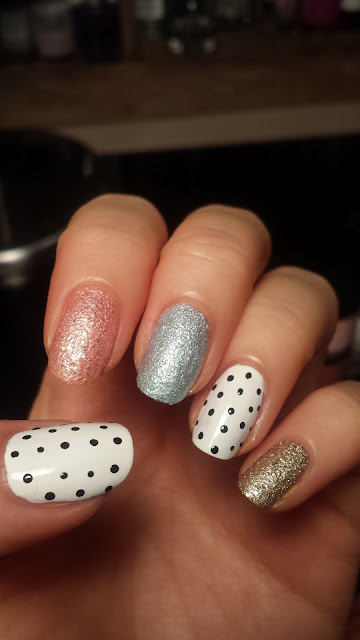 They are all good to go with 2 coats! 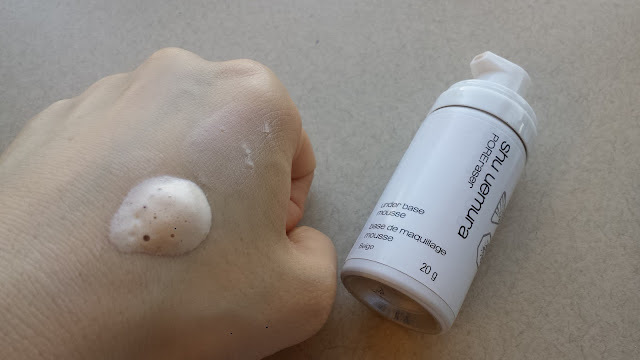 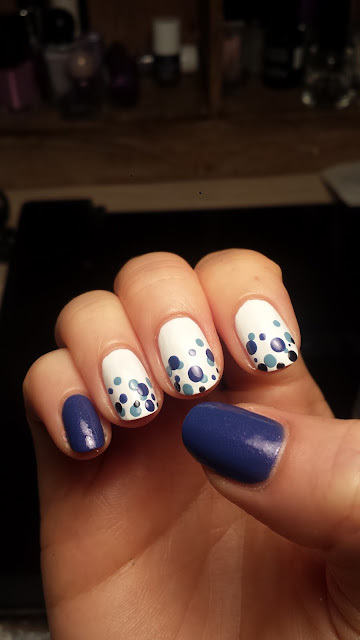 I didn't use a top coat on these textured nail polish. 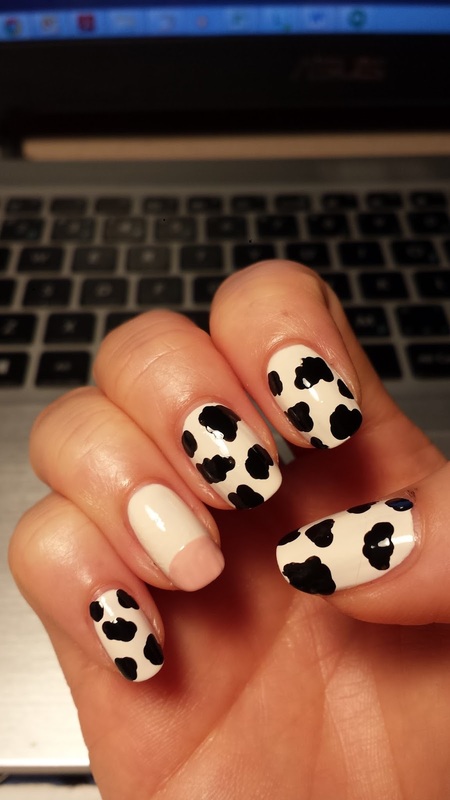 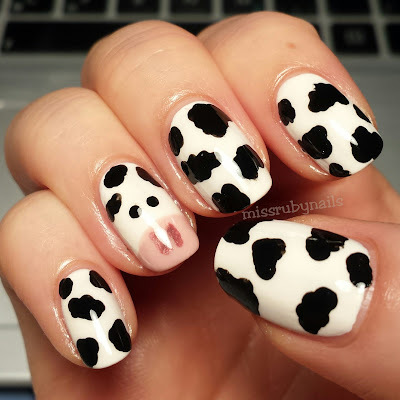 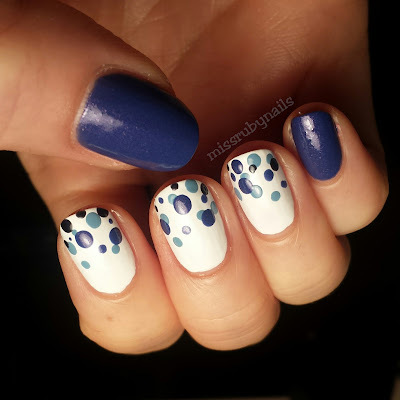 On the thumb and fourth finger, I simply dotted some tiny black dots on a white base color. 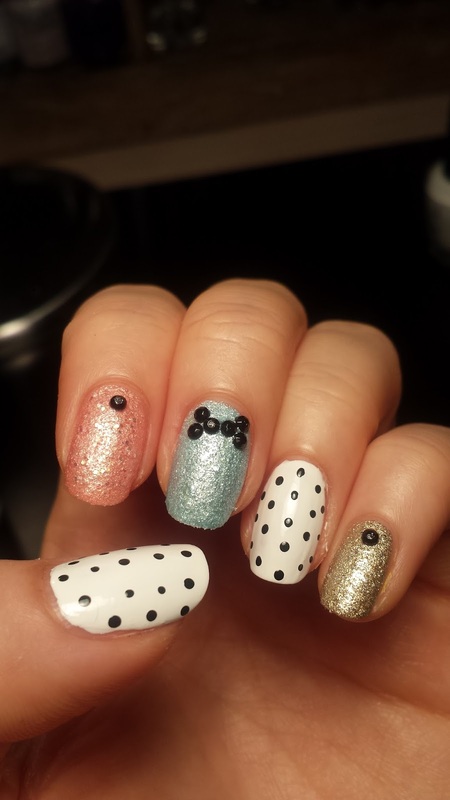 I then added some black nail jewels on the rest of the fingers and made a bow shape from the jewels on the third finger! 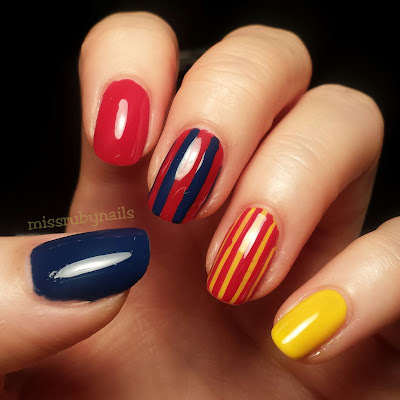 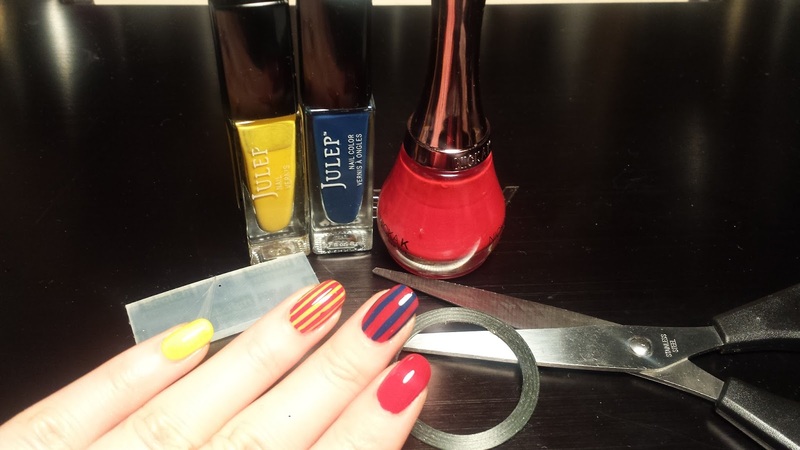 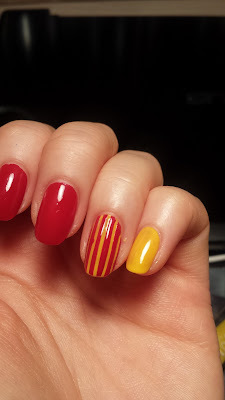 A very simple stripey nails I made for the big Barcelona soccer game back then! 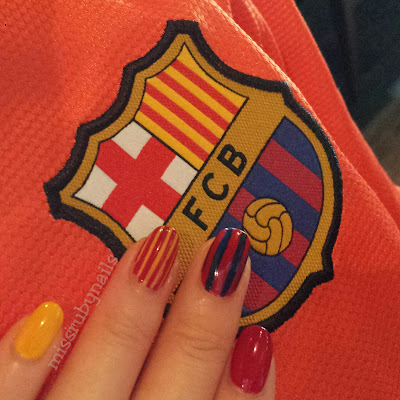 Their team logo consists of the 3 basic colors of red, blue, and yellow. 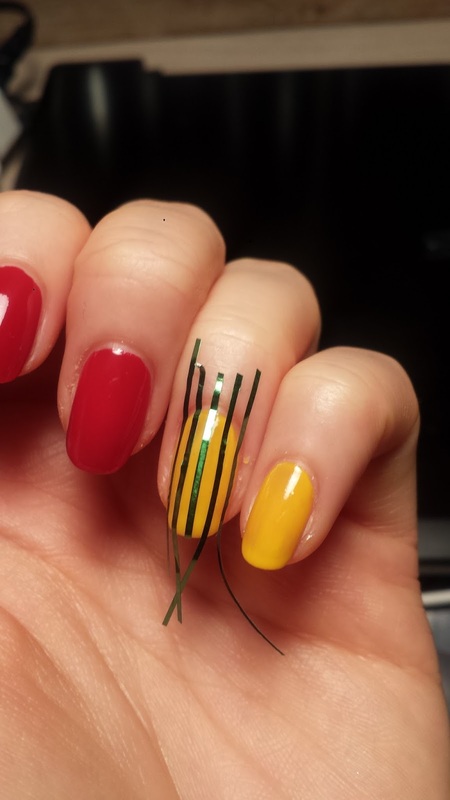 On the yellow base color, I used the nailart tape to make vertical guidelines and painted red over it. 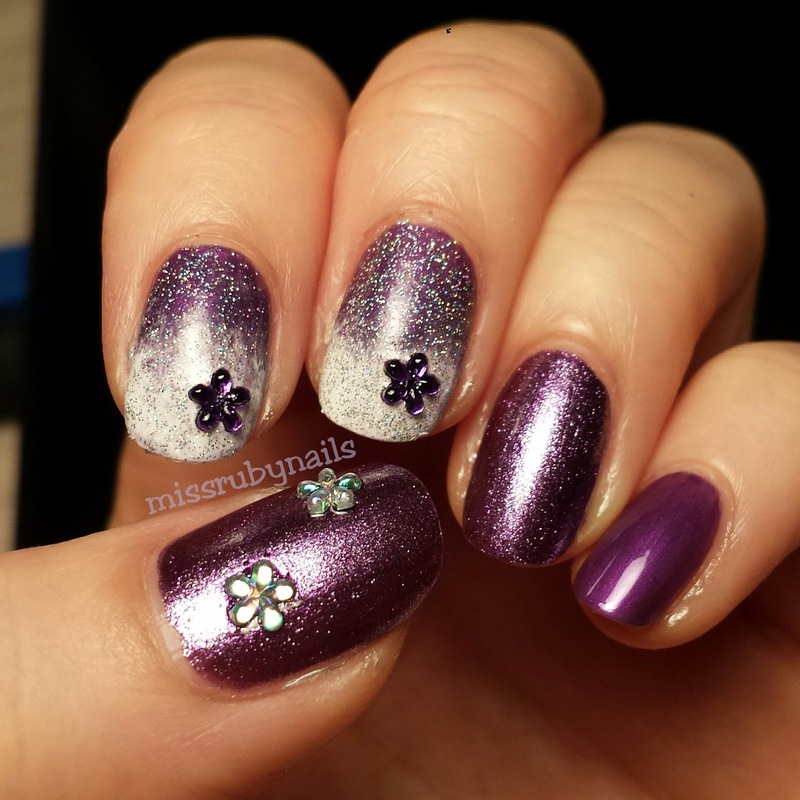 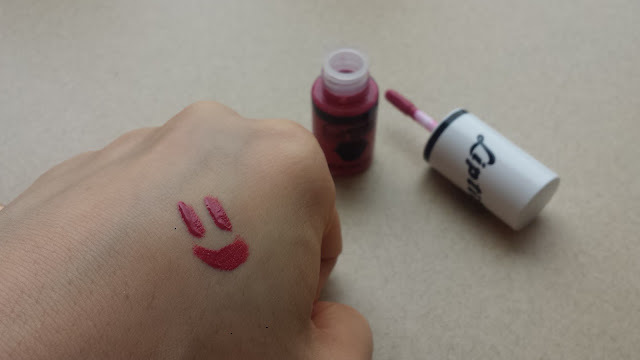 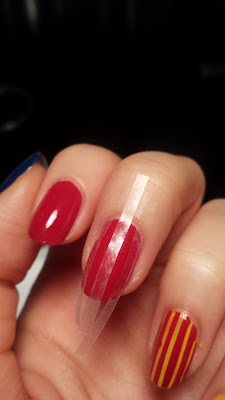 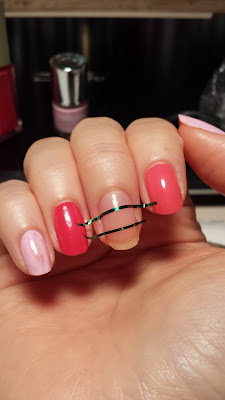 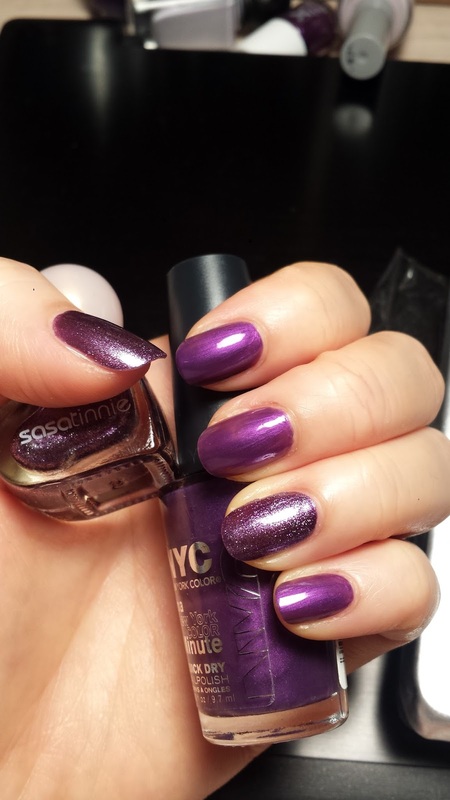 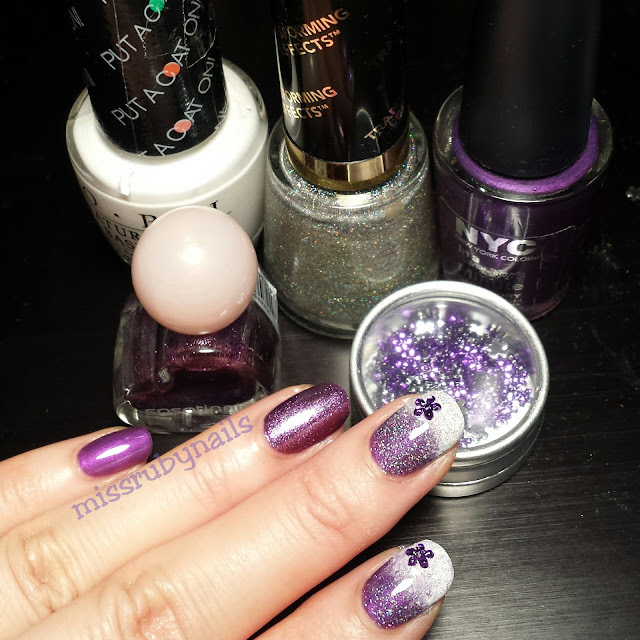 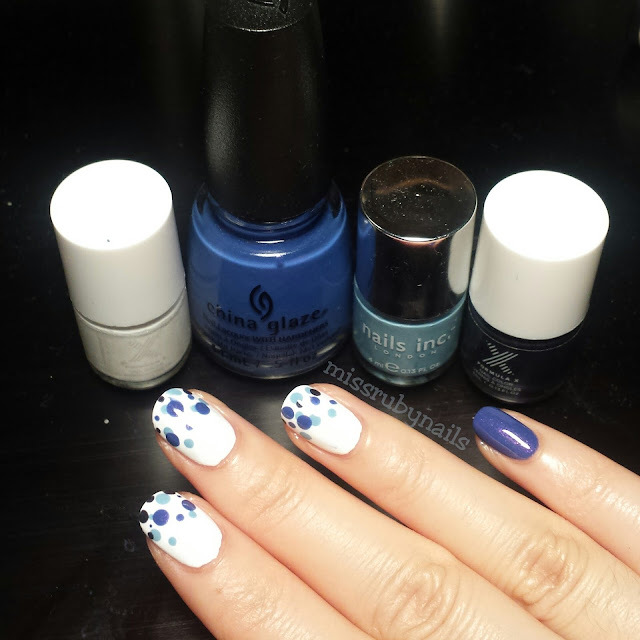 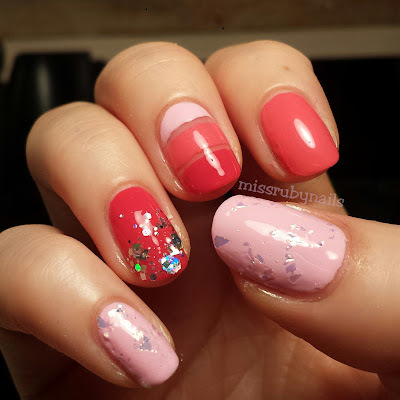 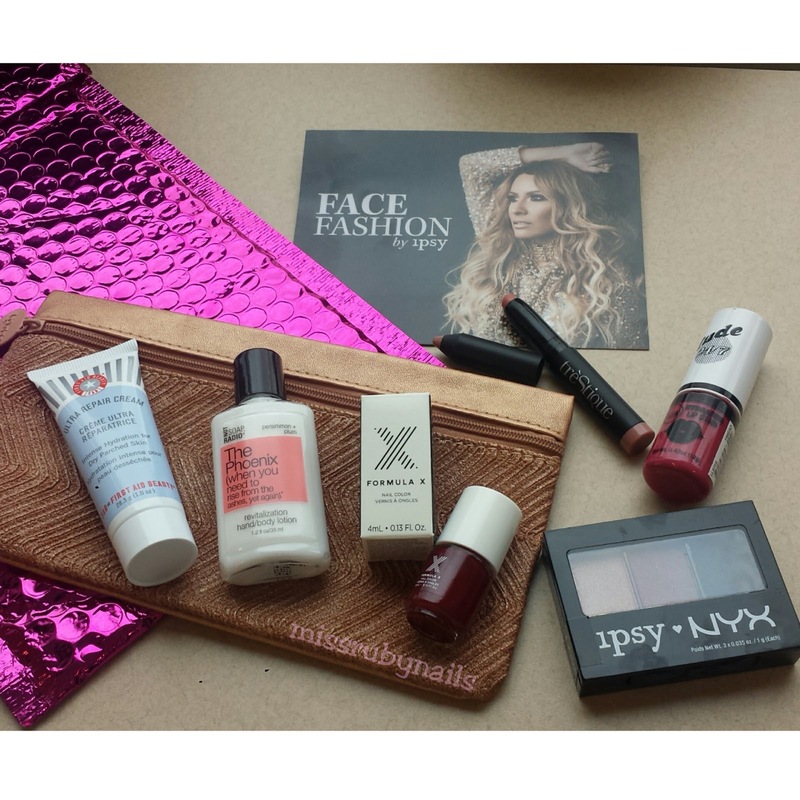 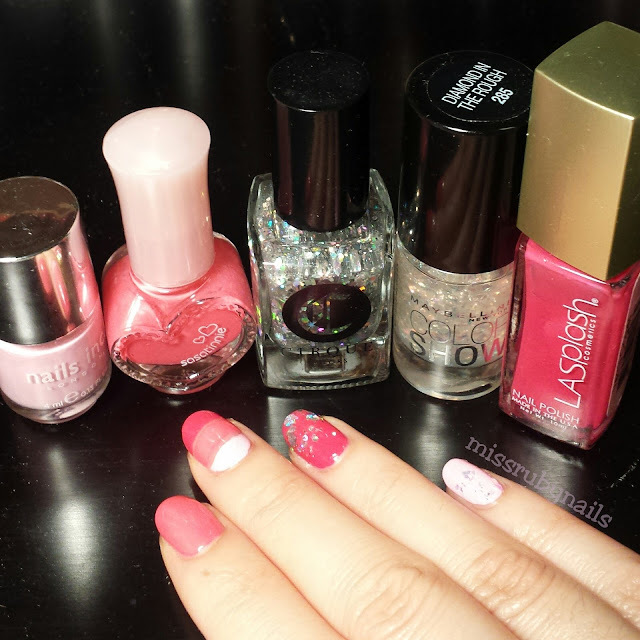 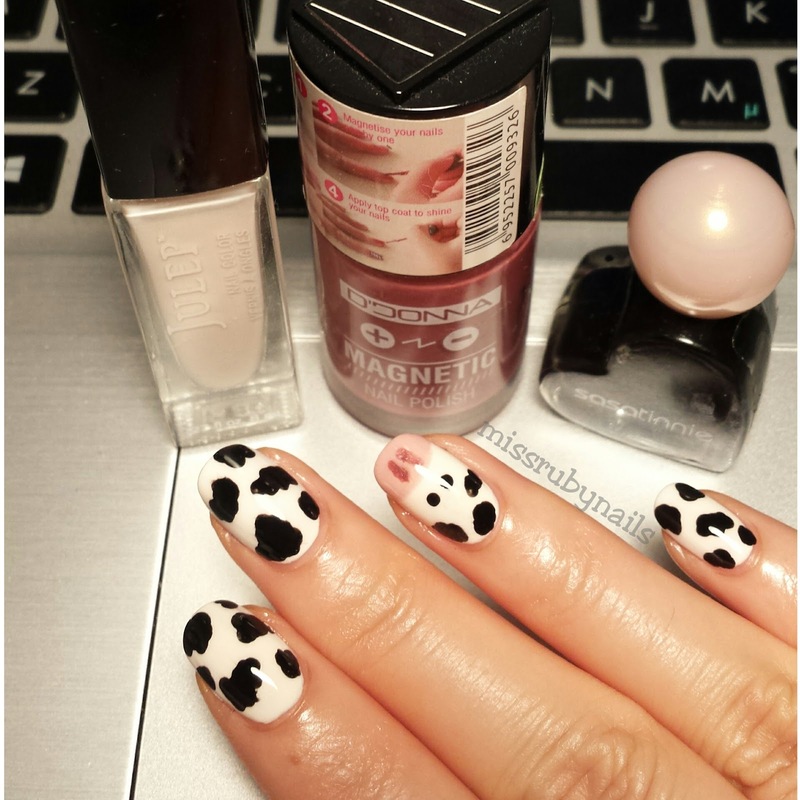 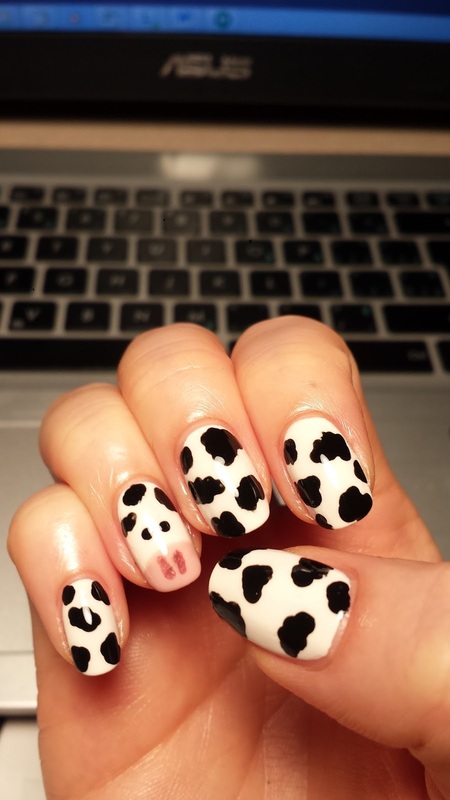 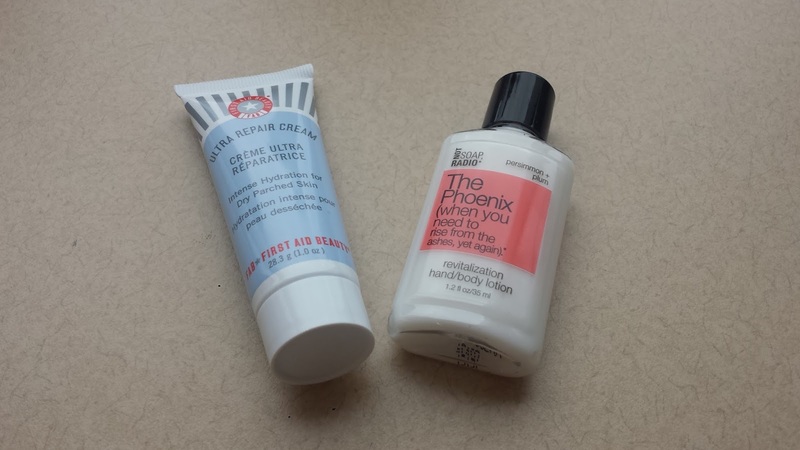 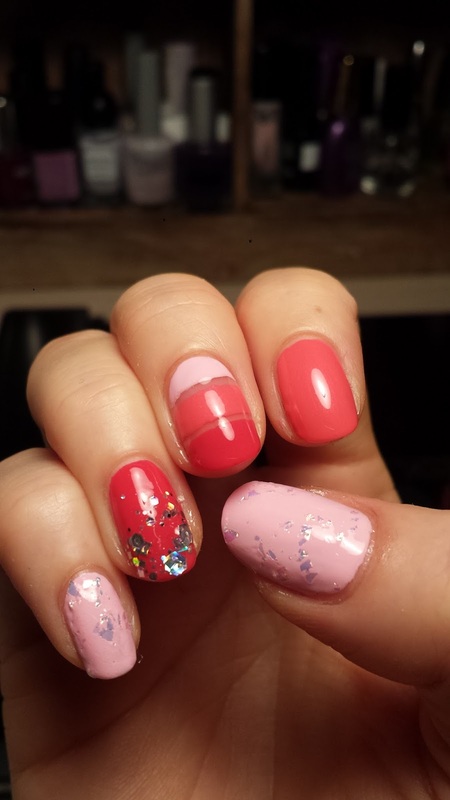 Click HERE for tips and tricks for using nailart tape! On the middle finger, I wanted a wider stripes effect so I just cut some stripes from normal stationary tape and used that as my guide. 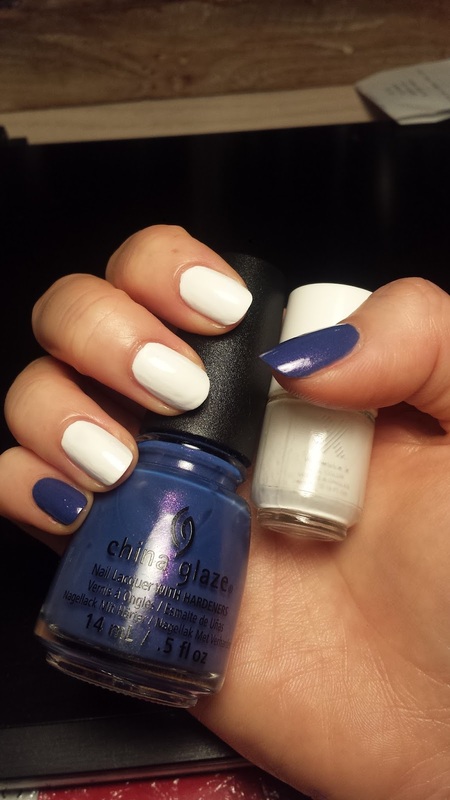 I then painted the blue polish on top. 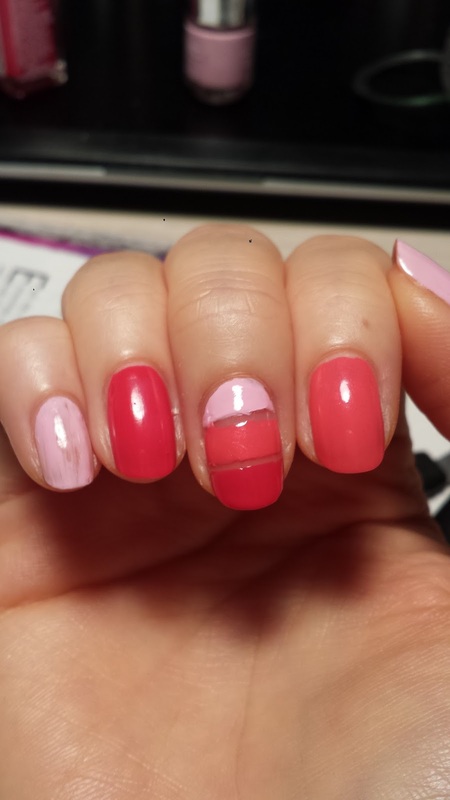 I left it as this for the manicure. 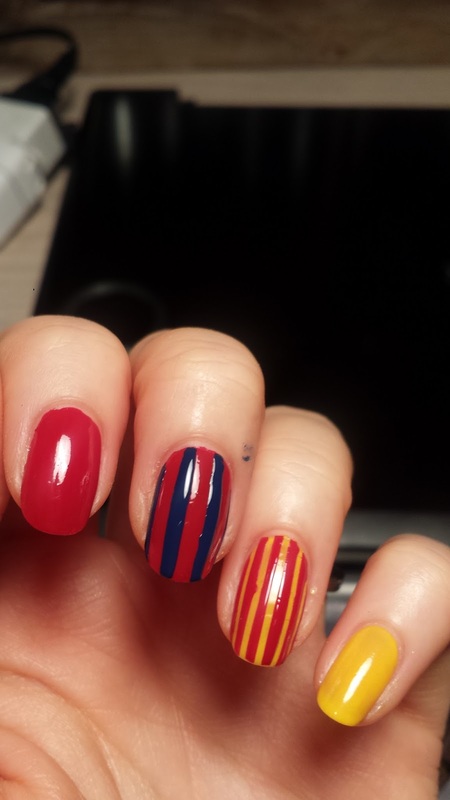 The sizes/widths of the stripes match the actual Barcelona team logo quite well!